Hohner Bluesband Harmonica, Key of G, Only $5.31! You are here: Home / Great Deals / Amazon Deals / Hohner Bluesband Harmonica, Key of G, Only $5.31! Give the gift of music! Head over to Amazon and order this highly rated Hohner Bluesband Harmonica, Key of G, for Only $5.31! Ships FREE on orders of $35+ or if you have Prime! 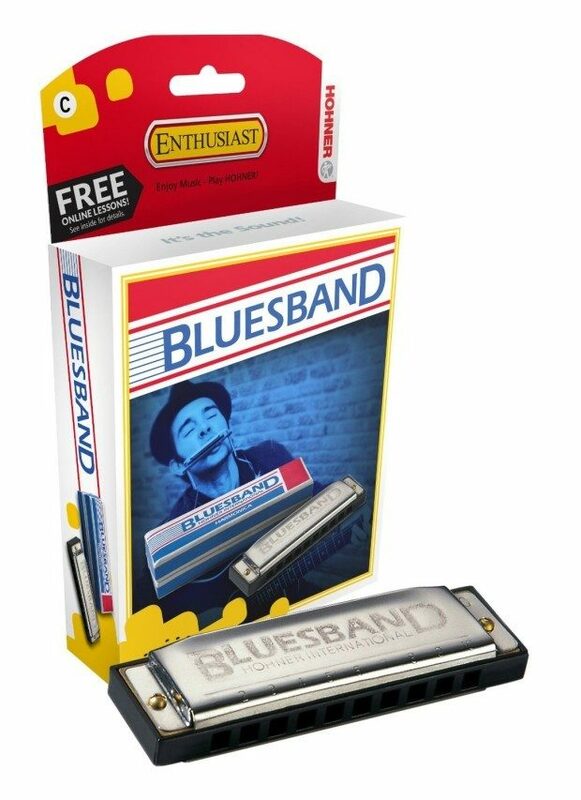 This economical 10-hole harmonica for all ages is a plastic body model designed for beginner level players in the rhythm & blues style. Diatonic, single reed harmonicas feature reeds tuned to produce the natural notes of the musical scale-without any additional sharps & flats (a diatonic instrument). They are ten-hole instruments with the four middle holes comprising a complete eight-note octave-the holes on either side permit chord playing. They are capable of producing bending & overblowing, which will allow the player to achieve sharps and flats!